Camp Minnesota: I’m talking with Ron Erickson today. He’s the Park Manager at Interstate State Park in Minnesota. How’s it going today, Ron? Ron Erickson: It’s going great. It’s a good day to be out hiking. Camp Minnesota: It is beautiful today. So, let’s start with how long Interstate State Park has been there and how it got started. Ron Erickson: Well, Interstate State Park has been here since 1895, so we’re well over a hundred years old. And originally, the Park was created because people were worried that a bunch of mining was going to take place in an area we now call the Glacial Potholes, and this is an area with some really interesting rocky landscapes that people thought should be protected, and it was. Camp Minnesota: Okay. And I’ve looked through that website quite a bit on here, and the photos are just breathtaking. It looks like a fantastic place to spend a lot of time actually. Ron Erickson: –is there are so many different kinds of things to do. 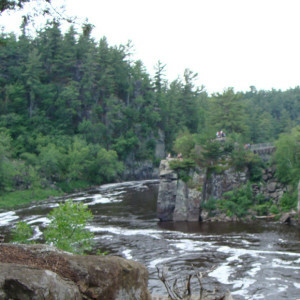 They range from launching a canoe on the St. Croix River, which is a National Scenic River, to rock climbing. Camp Minnesota: Okay. 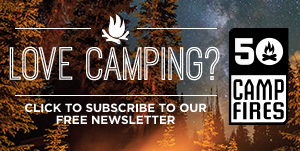 What types of camping do you guys offer there? Ron Erickson: Well, we have a drive-in campground with individual sites for people. And we have 37 sites. Some have electric service. Some are just tent sites. 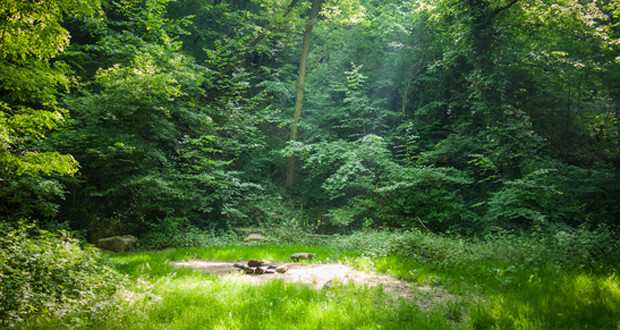 And then we also have four beautiful group campsites that can hold up to 25 people each. Camp Minnesota: Okay. And what would you say are the most popular activities for the visitors there? Ron Erickson: I think camping is one of them. Hiking is one of them. We only have about five miles of hiking trails, but they’re very nice trails and give options for loops and things. Like I said before, coming to the Park and then going out for a canoe trip on the St. Croix River is a popular trip. We’ve got a Visitor Center in the park, and we’ve got Interpretive Programs, Education Programs. But probably the place in the Park that draws the most people are the Glacial Potholes. Camp Minnesota: Okay. Now, are those similar to what have been called kettles sometimes? Ron Erickson: Yeah, I think probably they’re called kettles in other places. These are primarily circular holes in this very hardrock, called basalts, and the holes were created when the glaciers were retreating. And there was a lot more water above the Park and some of the areas. They were whirlpools and they just kind of drilled down into the rocks. We had a person last year that had a little project to count the number of potholes in that part of the Park, and he counted over 400. Camp Minnesota: Wow, that’s a dedicated project right there. Ron Erickson: That is. I mean they were not all fully round, but they’re basically everywhere. And once you’ve been there for a while and start seeing them, you’re kind of surprised. They range in size from, you know, a few inches to I suppose some of the bigger one are twenty to thirty feet across. And then the deepest one is over sixty feet deep. Camp Minnesota: Wow, that’s amazing. Camp Minnesota: Just two more questions for you, Ron. Camp Minnesota: If you could spend just one hour in Interstate State Park, how would you spend your time there? Ron Erickson: In my hour, I would get up at dawn and I would go to the Glacial Potholes and I would just walk around there, because it is a spectacularly scenic area. You’re right there by the St. Croix River. And I don’t know. It’s just a fantastic place. Camp Minnesota: Okay. And if you could spend just one night in Interstate State Park, which specific campsite would you choose and why? Ron Erickson: Well, I’m going to give you two, because you ask for one, but you know you never get that. 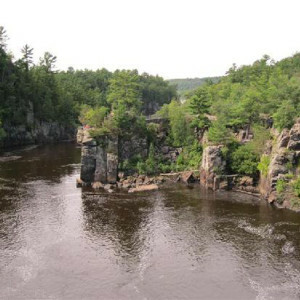 I would say, if I had a group of six or less, I would check out Site #21, which is in our drive-in campground and is a shoreline campground with a beautiful view upstream on the St. Croix River. But if I had a group of up to 25, I would try out Group Campsite #2, which is also a shoreline campground and is just a beautiful site. Camp Minnesota: All right, thank you so much. 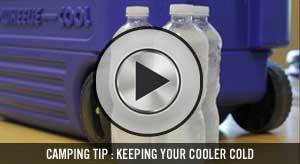 Those are the kinds of inside tips that we love to pass on to the visitors on our website. Thank you so much for taking some time out of your day today, Ron, to chat with us about Interstate Park in Minnesota. Ron Erickson: And if I could just fill in one more thing about the Park; and that is most of our campsites, you can make a reservation for up to a year in advance. Ron Erickson: And since Interstate is so popular, it has a relatively small campsite; I would really encourage people to make a reservation ahead of time. Ron Erickson: So that they will be able to get a site. Camp Minnesota: All right, sounds good. We’ll make sure that’s on the website so people know to do so. Camp Minnesota: All right. Well, thanks again, Ron. Ron Erickson: You’re welcome, Clint. Camp Minnesota: All right, take care. Ron Erickson: You too. See you.